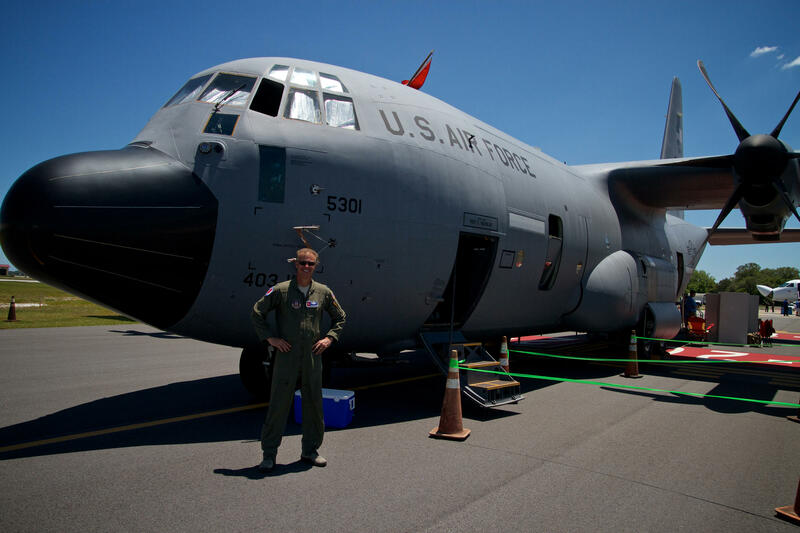 Lt. Col. Keith Gibson is the Hurricane Hunters Director of Operations. Aerial Reconnaissance Weather Officer Lisa Fralick (l) and Lt. Col. Keith Gibson answer questions about the Hurricane Hunters operations from northeast Florida first responders. Schoolkids visit the "Hurricane Hunters" crew and WC-130J aircraft at Northeast Florida Regional Airport in St. Augustine. 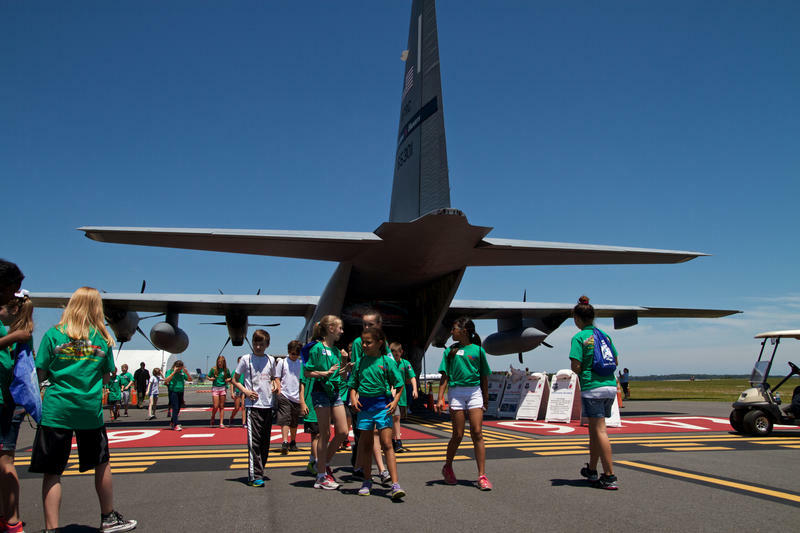 The Hurricane Hunters' WC-130J aircraft can weigh up to 800 tons at takeoff. The United States Air Force Reserve's 53rd Weather Reconnaissance Squadron — "Hurricane Hunters" — is based out of Keesler AFB in Biloxi, Miss. 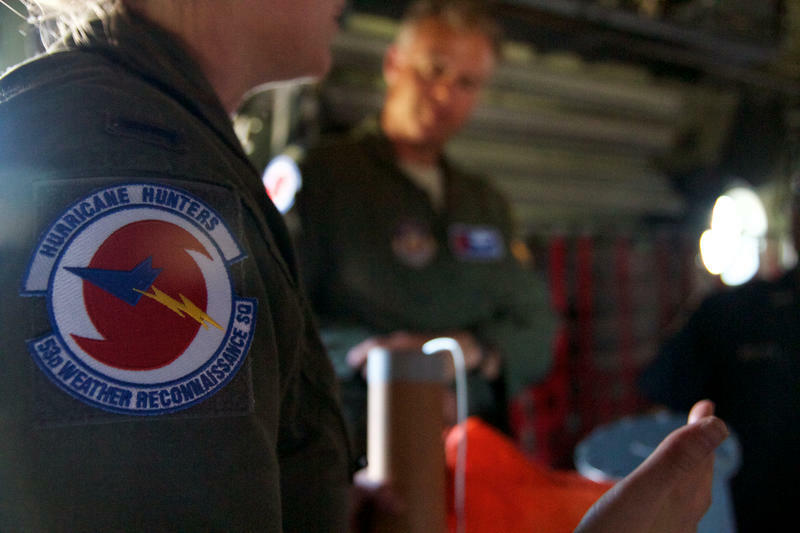 Aircraft from the United States Air Force Reserve’s “Hurricane Hunters” unit were at the Northeast Florida Regional Airport in St. Augustine Thursday. The unit collects data in real time that is used by emergency managers and meteorologists to track storms and warn the public. 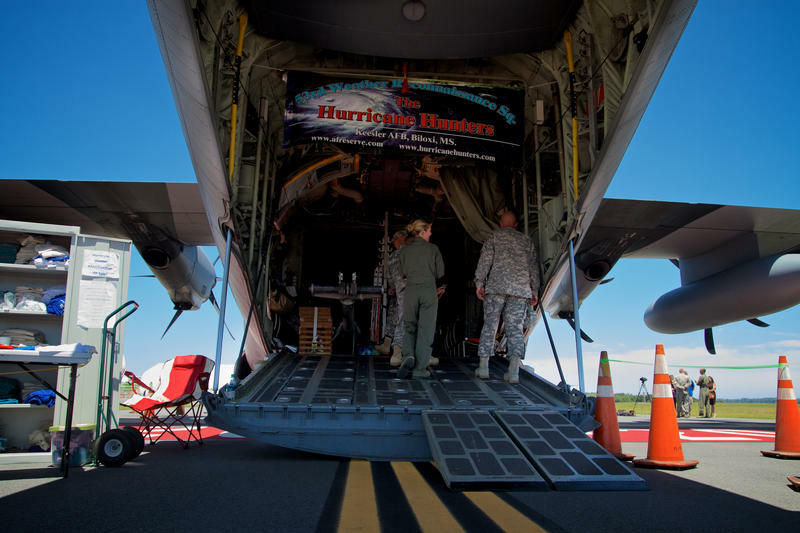 The “Hurricane Hunters,” who are based at Keesler Air Force Base in Biloxi, Mississippi, fly a 700-ton cargo plane directly into the eye of a hurricane in the name of science. Lieutenant Colonel Keith Gibson is a pilot and the unit’s Director of Operations. He says sometimes it’s like getting sprayed with firehose as wide as a school bus. However, not everybody needs to know all that. There are obvious hazards to this job and while Gibson says that he never downplays the risks, he does what he can to not worry his mother. 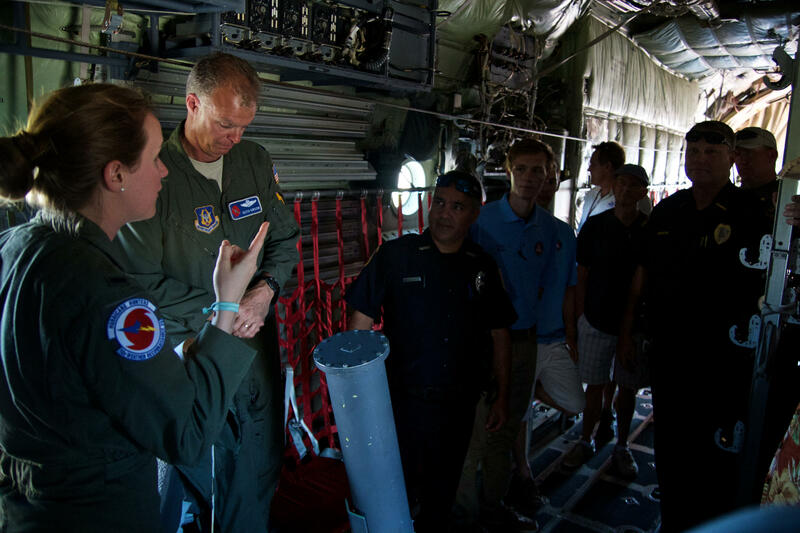 The visit was also attended by specialists from the National Oceanic and Atmospheric Association as part of an East Coast tour promoting Hurricane Preparedness. 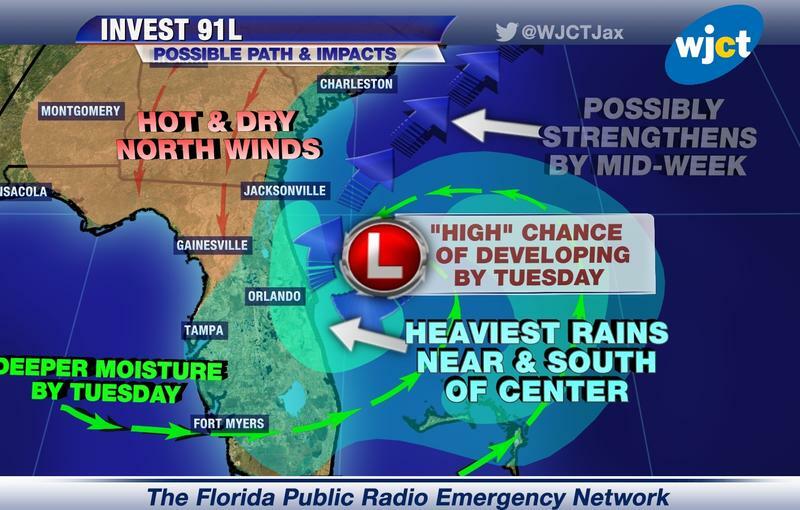 The Atlantic hurricane season begins June 1. You can follow Peter Haden @HadenMedia. Very warm waters and relatively light winds aloft will yield an environment favorable for tropical storm development just offshore of Florida’s Atlantic Coast in the next 48 hours. When a hurricane is approaching, everyone needs to have a plan in place. When you have medical needs, that preparation becomes even more critical. Dr. Theo Sai is the chief medical officer for senior products for Humana in Central Florida. He's also lived through several hurricanes. “I remember the worst one for me was in the Bahamas, where I was on the first floor and it was a pretty bad hurricane, and Nassau typically floods a lot,” Said said. 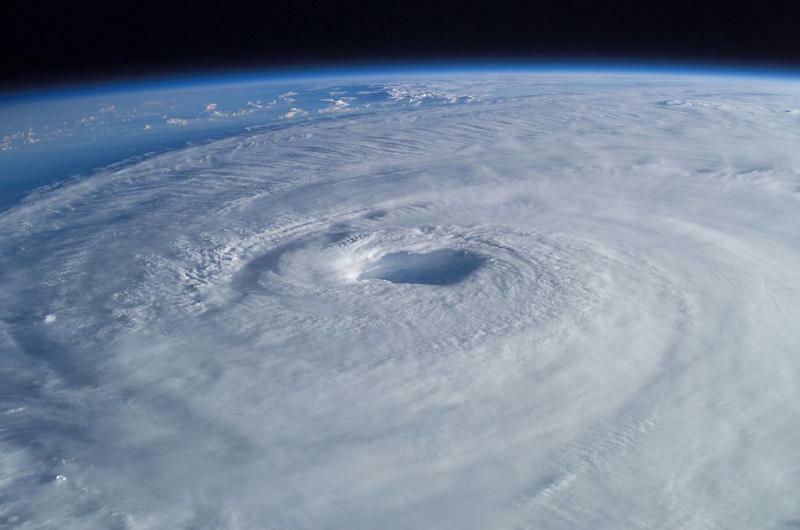 When he offers advice on preparing for hurricanes, it comes from his own experience.